I get on these food kicks every so often where I HAVE to eat a specific combination. Lately, it has been peanut butter and chocolate. 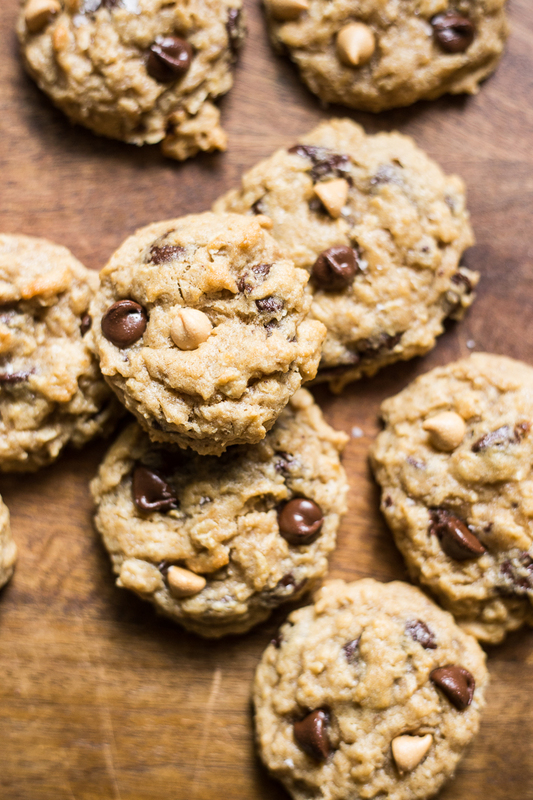 So, when I started making my favorite oatmeal chocolate chip cookies last week, I decided to throw in some peanut butter chips as well and now these peanut butter oatmeal chocolate chip cookies are my go-to in the kitchen. 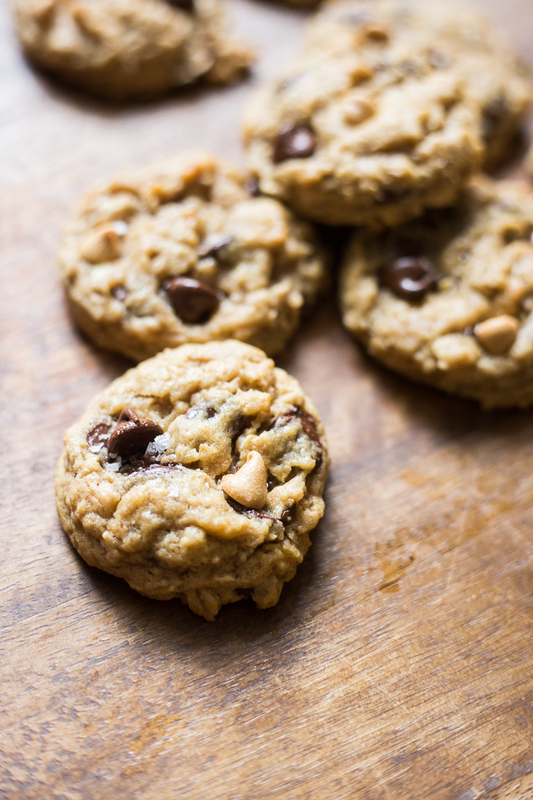 Now that peanut butter chips have become part of my regular baking drawer, I always have everything I need for these cookies on hand, should the craving arise. They come together in about 20 minutes, start-to-finish, and less if you plan to freeze the dough balls for microwaving cookies later. Pro Tip: Soften butter and bring eggs to room temperature by placing them in a bowl with warm water for a few minutes while you pull out everything else. Add soft butter to a mixing bowl or stand mixer and beat until fluffy. Add both types of sugar and beat until fluffy, scraping the bowl as needed. Pour in vanilla and slowly mix until incorporated. Pile flour, baking soda, and salt in the bowl and mix until well incorporated. 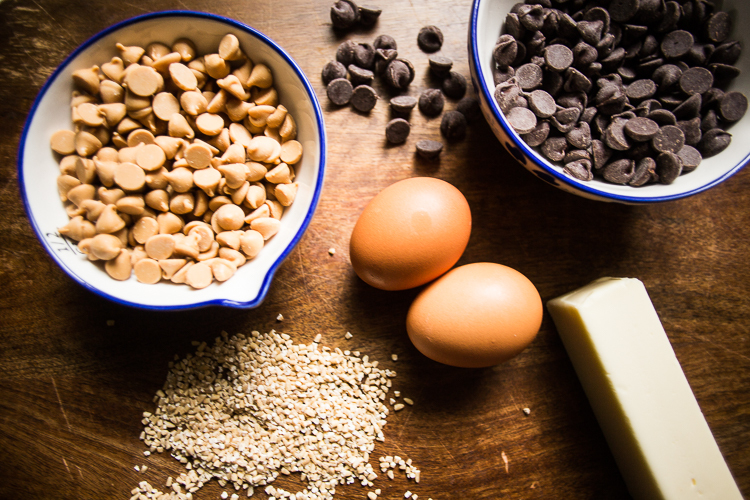 Add chocolate and peanut butter chips and mix slowly just until they are evenly spread throughout the dough. 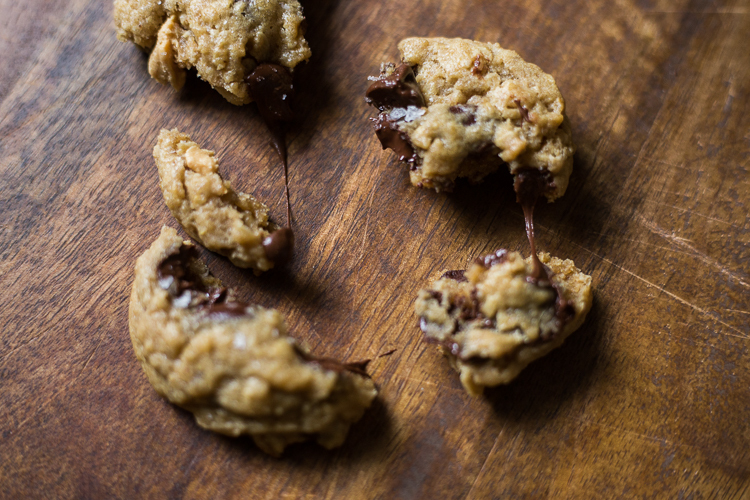 Pro Tip: Use a small ice cream scoop to get evenly sized cookie dough balls. 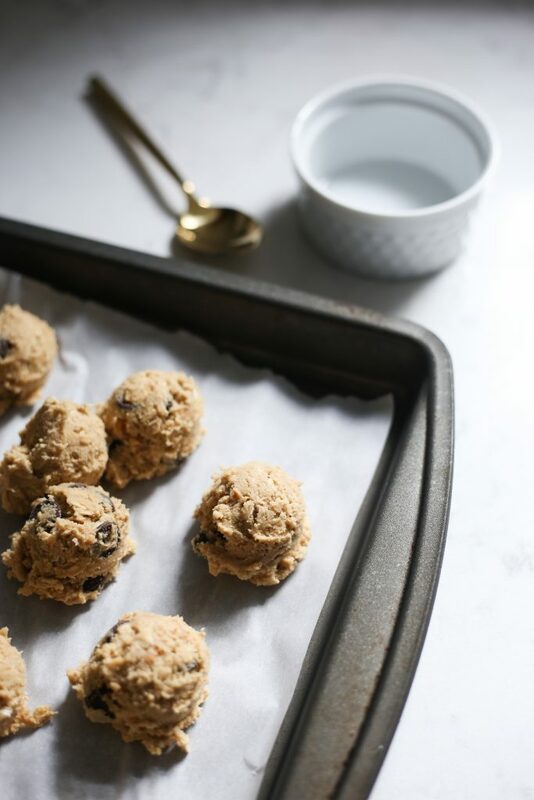 Scoop cookie dough out onto a sheet pan. If you are baking them immediately, spread 3 rows of 4 evenly across the pan. Bake at 325 degrees for 10-12 minutes. They will be slightly doughy, and cool to perfect texture. 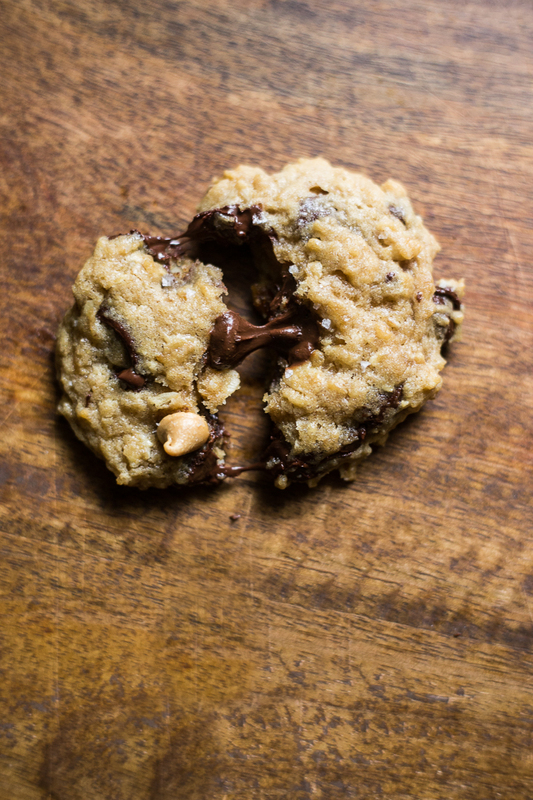 Whatever you don’t immediately bake, scoop onto a cookie sheet as close together as you can. Pop the whole sheet into the freezer and freeze. When the dough balls are frozen after a couple hours, transfer them into a gallon-sized ziplock bag in the freezer for easy snacking and microwaving later.